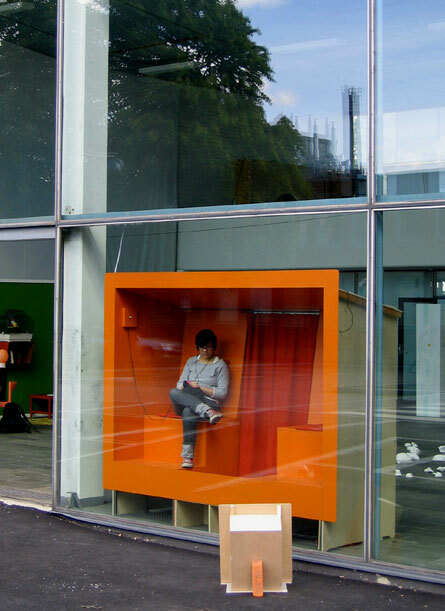 A wooden booth for two persons were built against the glass wall of the exhibition space. Inside the booth the visitors could listen to a story – set in West Berlin in the 1960’s – about J.B., a compulsive border crosser uncomfortable in any fixed territory and his urge to pass forbidden, international borders. 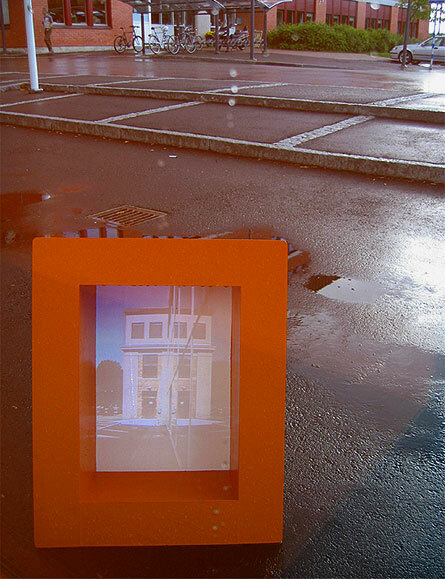 Outside the window a video sequence, shot on location, was projected in a small box. 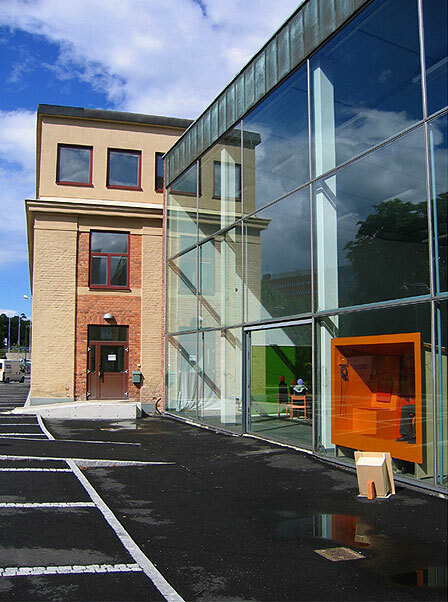 Installation photos from the exhibition "Umeå! ", Nacka Expo, Stockholm, Sweden, June 2004.